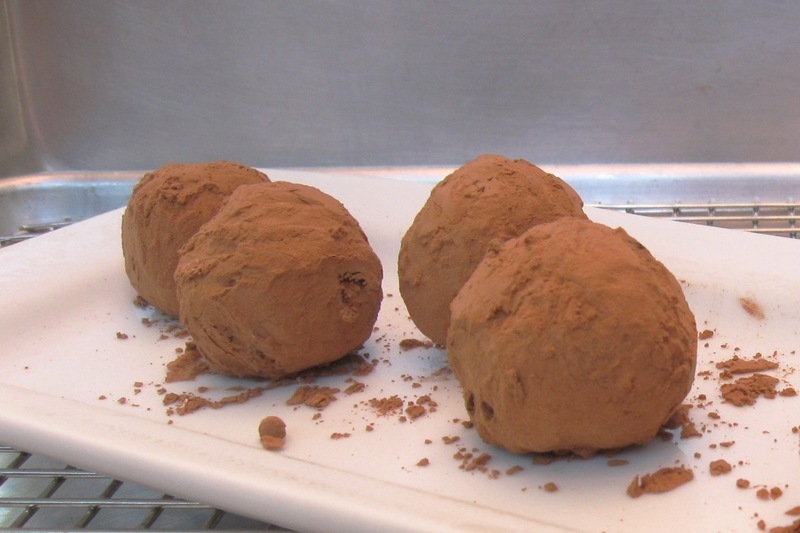 I've been making chocolate truffles for about two weeks now. Yesterday I'm in the kitchen chopping up even more chocolate when my daughter walked by and said "geez...are you making chocolate truffles again!" Yes little girl, I am! So, after numerous bowls, spoons, ingredients, recipes and tastings I finally achieved what my six year old daughter called a "definite thumbs up mom"! Could there be any better validation of skill? Nope. This is a very basic recipe. I'm sure there will be future postings with all sorts of delicious liquors and fruits and nuts and etc...but for now...these will do. 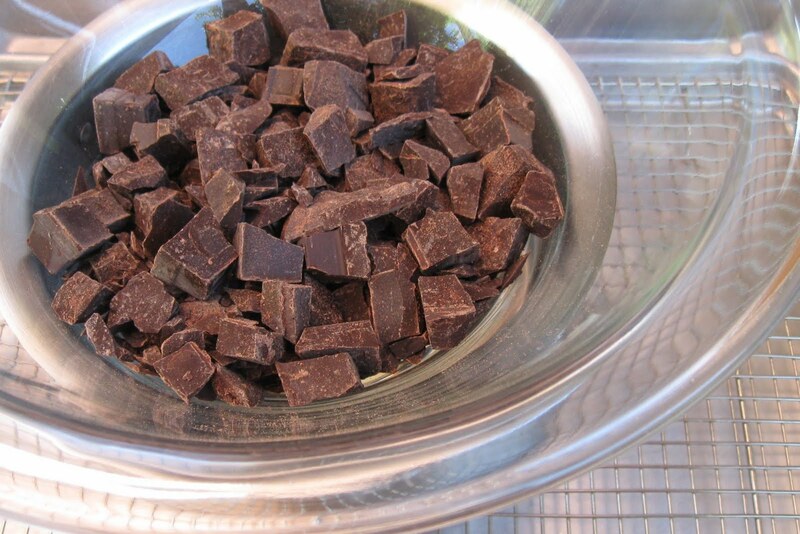 Chop all the chocolate as small as you can. 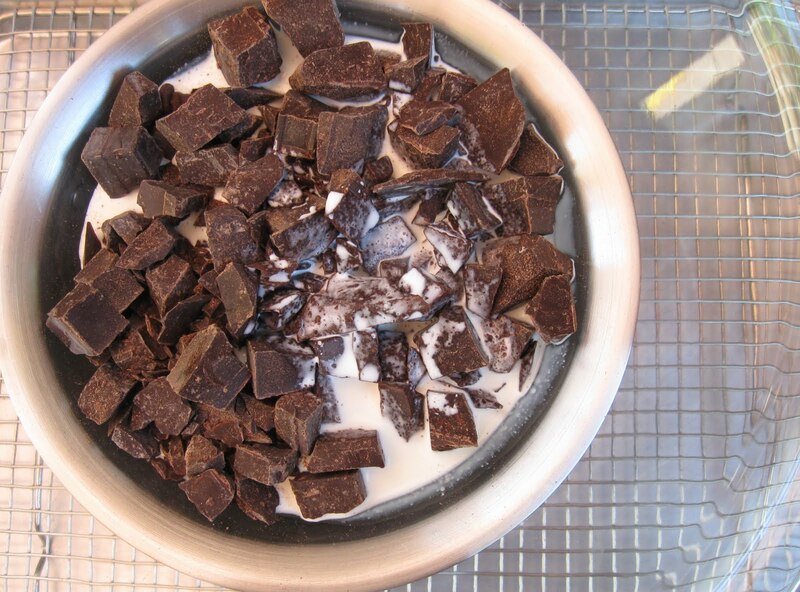 Melt the chocolate and cream in a large glass bowl set over a pot of simmering water. 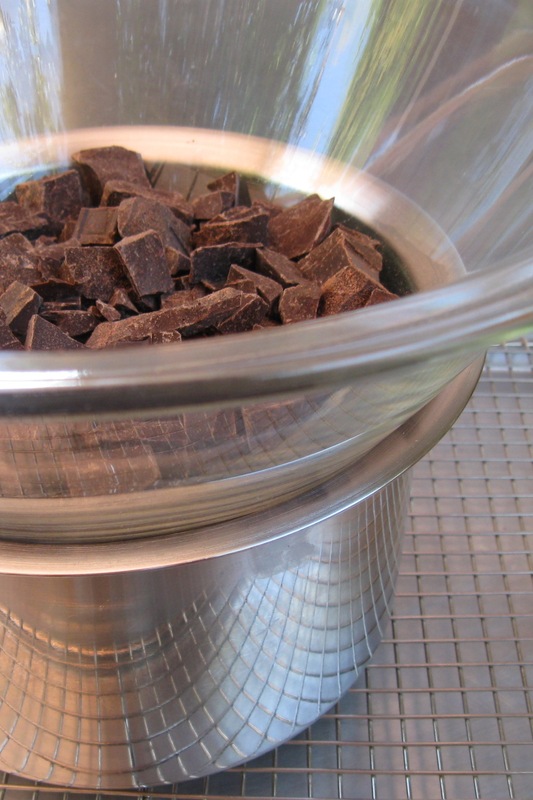 Stir continuously and make sure the bowl is not actually touching the hot water. Stir until completely smooth and no lumps remain. Off the heat add the coffee and vanilla and mix thoroughly. Chill about and hour and a half, maybe two hours. Needs to be pretty firm to the touch but still able to easily accept a spoon running through it. If you chill too long just let it sit on the counter about twenty minutes. Should be pretty pliable then. In a medium/small sized bowl combine the unsweetened cocoa powder and the confectioners sugar (or Bakers Sugar). Mix thoroughly. 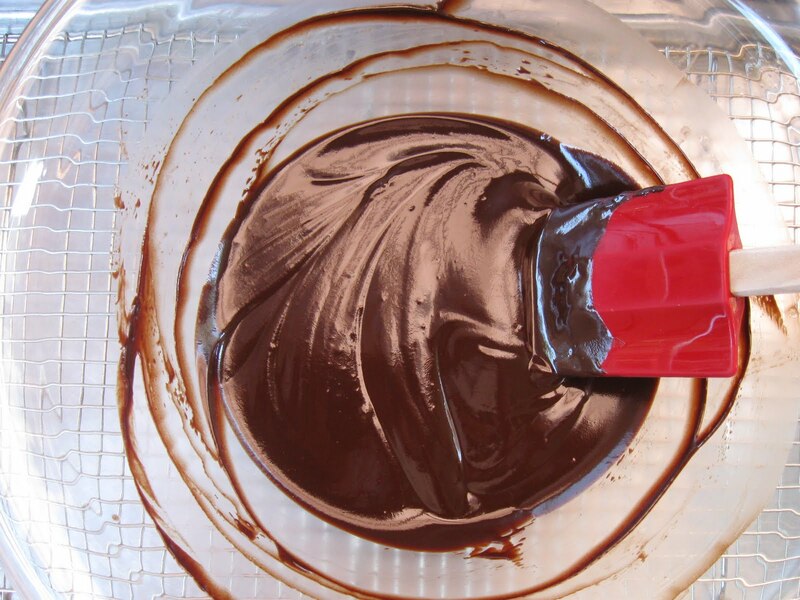 When ready, scoop out a large teaspoon amount and roll into a ball about the size of a large cherry. Note here: I have been watching TV chefs makes these for weeks and I cannot understand how they are not covered head to toe in chocolate - because I sure was (unfortunately I was unable to get a photo since my hands were so icky). 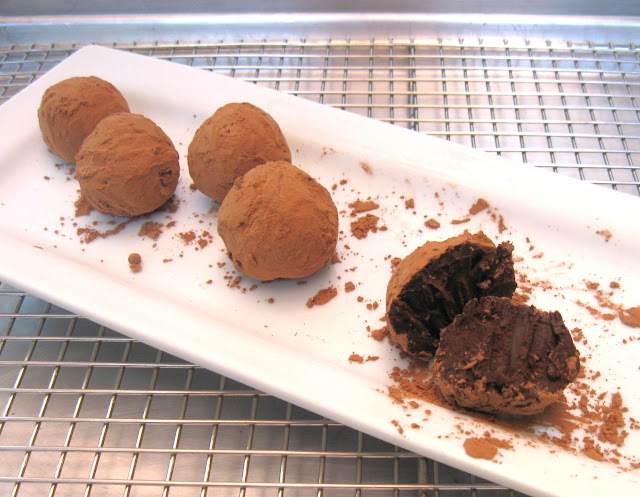 Once you have a few balls rolled, roll them in the cocoa powder and sugar mix and plate. 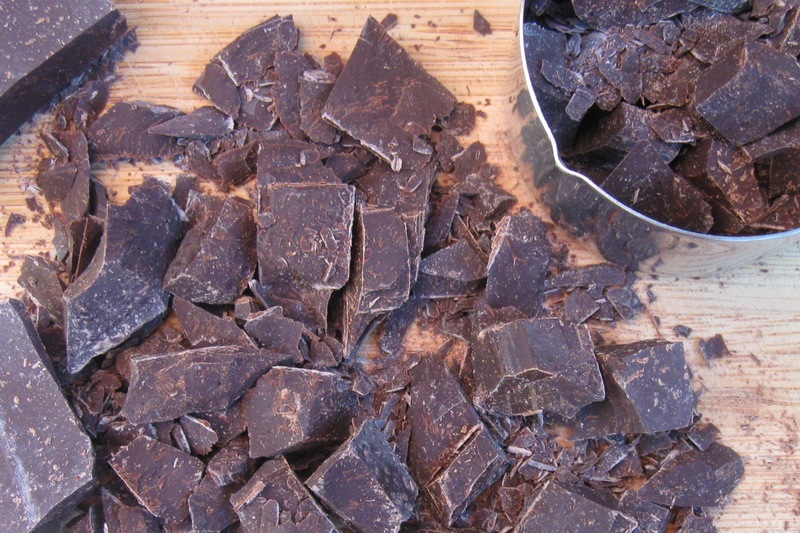 You can store these in an air-tight container in the fridge for several days. Most of the recipes I read said to let them come to room temperature before serving but I found everyone was just as happy stealing them out of the refrigerator and eating immediately.